Join the Culinary staff at Great Camp Sagamore in the Adirondacks this Season! 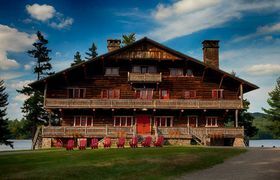 Sagamore is an authentic 1897National Historic Landmark--set in the heart of the Adirondack Forest Preserve. It is in Raquette Lake, NY within 100,000 acres of forest preserve land to explore.